Yesterday BBC Earth released the “Prequel” for the forthcoming Blue Planet 2. 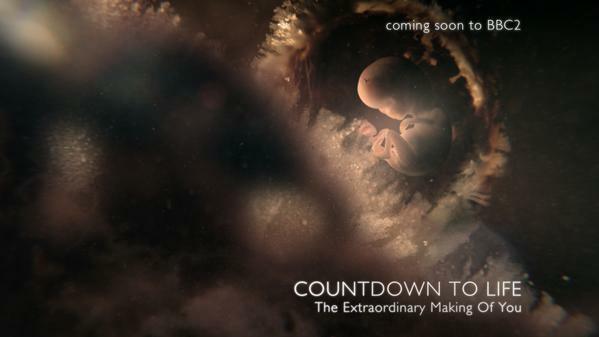 It features the title sequence we have been working on at BDH. Radiohead rerecorded their track “Bloom” (originally written about the first series of Blue Planet) with series composer Hans Zimmer especially for the occasion. Here is Radiohead performing Bloom live back in 2011. At BDH we made some pretty delicious graphics for this series on the chemistry of food. Michael Mosley and James Wong reveal the physics, chemistry and biology hidden inside our food. They travel the world in a culinary adventure to search for the origins of our favourite foods and using specialist photography and CGI, they take us on a journey inside the most sumptuous food, right down to the molecular level. You can see a promo here featuring some of the work we did. Watch out for the tongue and tastebud sequences ;-). 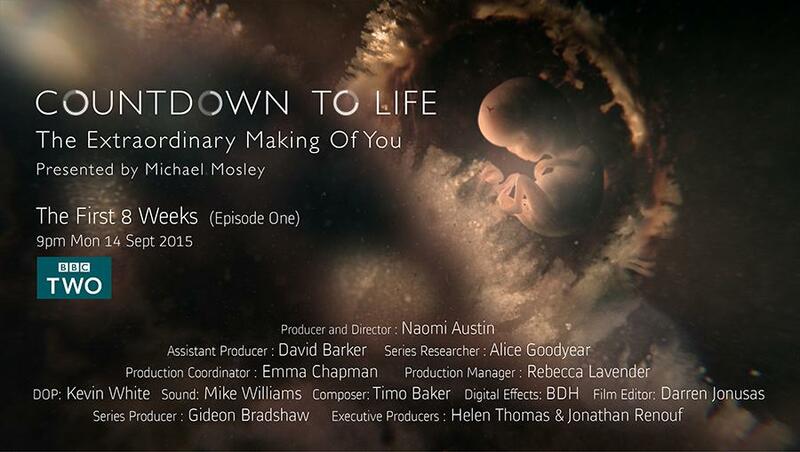 9pm Friday 24th February (This evening) BBC2. I am posting this here in case anyone hasn’t seen it. Last night I filled in my answers to the governments public consultation document for the future of the BBC. It has been sneeked out and the questions are weighted heavily so it is essential that anyone who cares about the BBC and would like to see it’s future secured in a way that benefits everyone, take the time to fill it in. It takes about quarter of an hour. There is just over a day left. How well is the BBC serving its national and international audiences? Extremely well. With news coverage, drama and especially documentaries. I also use the podcasting feature a lot and the radio iplayer. Which elements of universality are most important for the BBC? The BBC is a relied upon national institution, unique in the world. It is trusted universally and is a major driving part of British culture. It is extremely important that ti’s content is advert free as it provides a space for thought and consideration free from sponsorship. Is the BBC’s content sufficiently high quality and distinctive from that of other broadcasters? What could improve it? The nature of the BBC allows new talent and ideas to grow organically, many cultural icons with global influence exist today because they were nurtured and allowed to grow on the BBC. The BBC should be allowed to produce the kind of content that other companies cannot due to to market forces being their main drive. Where does the evidence suggest the BBC has a positive or negative wider impact on the market? It is extremely important that BBC news comes free from any adverts or sponsorship for obvious reasons. The powerhouse of innovation and creativity which the unique way the BBC is funded produces some of the most important cultural forces we have today. It is a shelter for innovation which produces benefits which far out way the investment. Is the expansion of the BBC’s services justified in the context of increased choice for audiences? Is the BBC crowding out commercial competition and, if so, is this justified? It is essential that the BBC provides an alternative to other commercial news and online content, if people choose to use the BBC over it’s competitors because of it’s high quality then surely that proves it’s value. If other commercial companies feel they are being pushed out maybe they should rethink their strategy of connecting with people. Their audience will not increase just because the BBC is not there. Has the BBC been doing enough to deliver value for money? How could it go further? The BBC is incredible value for money, if one compares it with any online subscription service. To get the equivalent breadth and range of content using other services one would have to spend considerably more than £12 per month, possibly 5 to 10 times that amount. How should we pay for the BBC and how should the licence fee be modernised? I think the existing license fee system is fair. I would like to see the BBC supplement this by providing an fee paying subscription for the iPlayer for non-UK customers. How should the relationship between Parliament, Government, Ofcom, the National Audit Office and the BBC work? What accountability structures and expectations, including financial transparency and spending controls should apply? The BBC should be supported by government but this regular interference by successive administration is unhelpful. There is room for improvement in the way the BBC is run, but I do not think many politicians have the breadth of knowledge and experience to be applying their opinions to the corporation. I also believe may politicians are under the influence of corporate lobbyists representing the interests of those who want to see the BBC diminished for their own personal gain. The BBC is for the people of Great Britain, it is for them to decide if the fee is suitable and appropriate and not a few politicians. Nice to see some of the work we’ve done at BDH featured in this piece on the benefits of feeling insignificant. It’s great to be part of something that makes people feel small. Thanks for the heads up, to my friend Kathryn Jeffs.